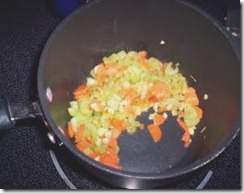 Sautéing in Oil, Veggie Broth or Water: You Choose! Thank goodness for friends! One of mine, pointed out that a great number of my recipes start out with sautéing onions, garlic and other veggies. 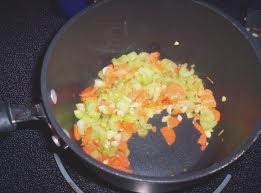 And she wanted to know how I square sautéing with a low-fat diet. Made me realize that she, along with a lot of other people, think that sautéing is synonymous with frying. Actually, the way I think about it is somewhat different.